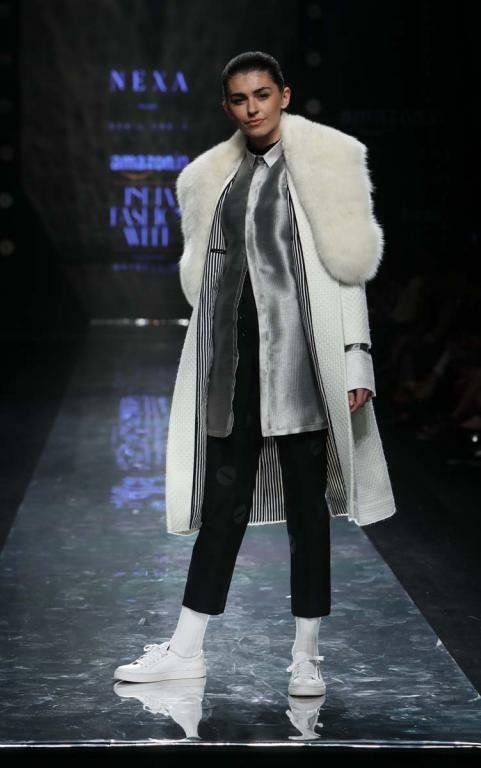 Find out the best of overcoat and jacket trend from the Amazon India fashion week Autumn Winter 17 runway show. 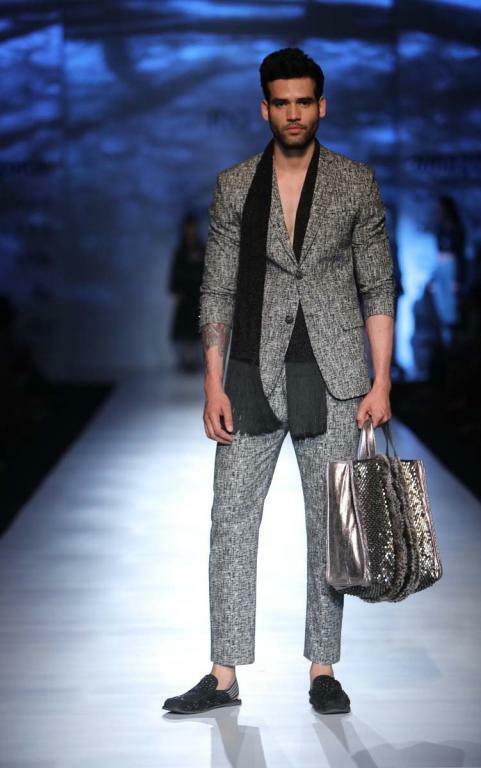 This season the trend varied from modern silhouettes to the Indian ethnic styles. 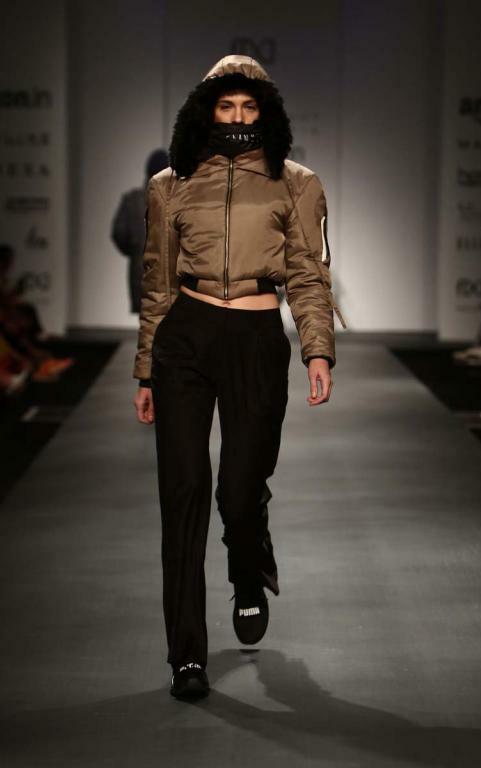 Designers explored the current global trend of the puffer jackets already popular during the New York, Paris, Milan and London fashion week. 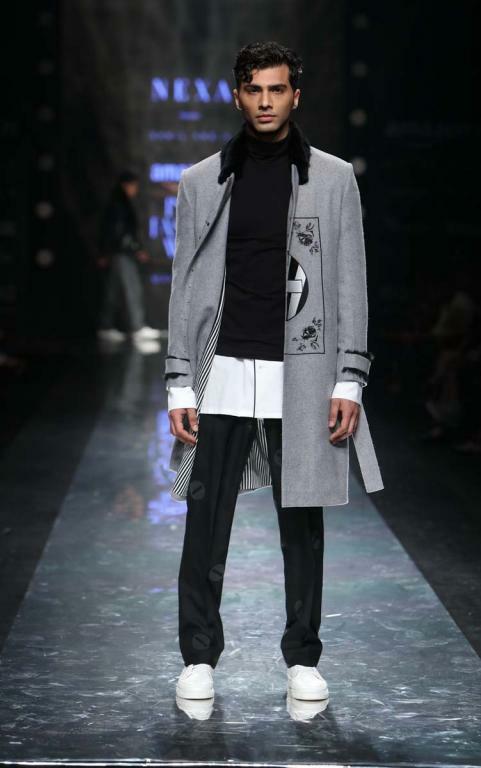 Designers like Pawan Sachdeva studied the Indian style of the coat by applying for the intricate embroidery work in his collection; Sahil Aneja added the overcoat and biker jacket styles with the flavor of shearling and fur detailings at the show for his men and women's collection. 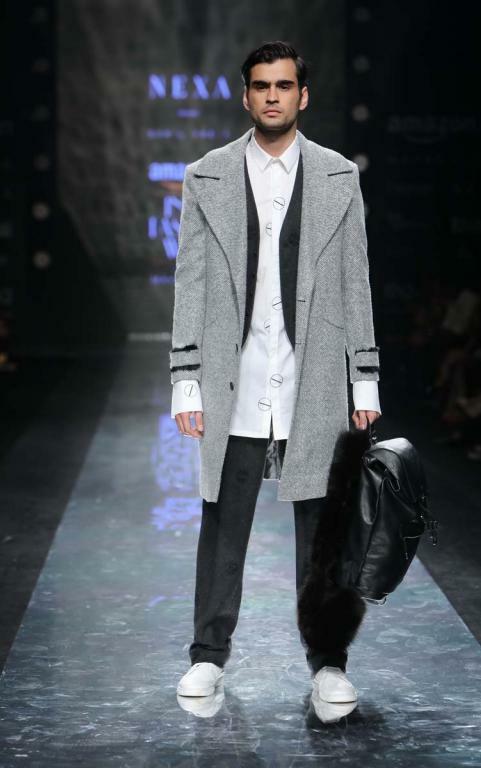 Designers at the show ushered both men's formal and casual styles along with the pinch of the global trend such as puffer jackets as well as the overcoat styles. 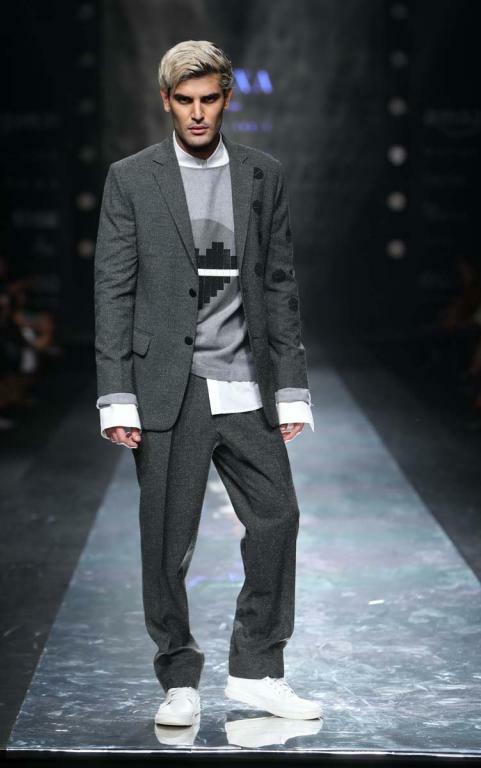 The favorite colors at the runway were gray, black and white with plaid and checked prints emerge unyieldingly. 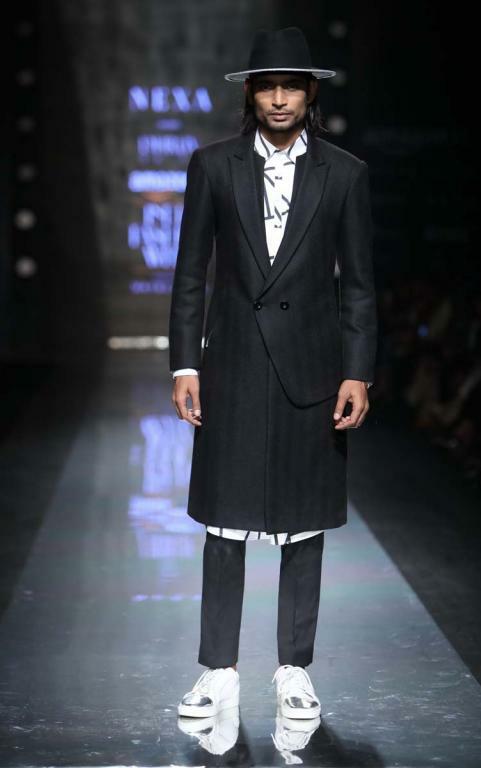 Sahil Aneja and Dhruv Vaish bring the overcoat style at the runway. Styles were inspired from the global fashion weeks shearling detailings at the neck and shoulders. 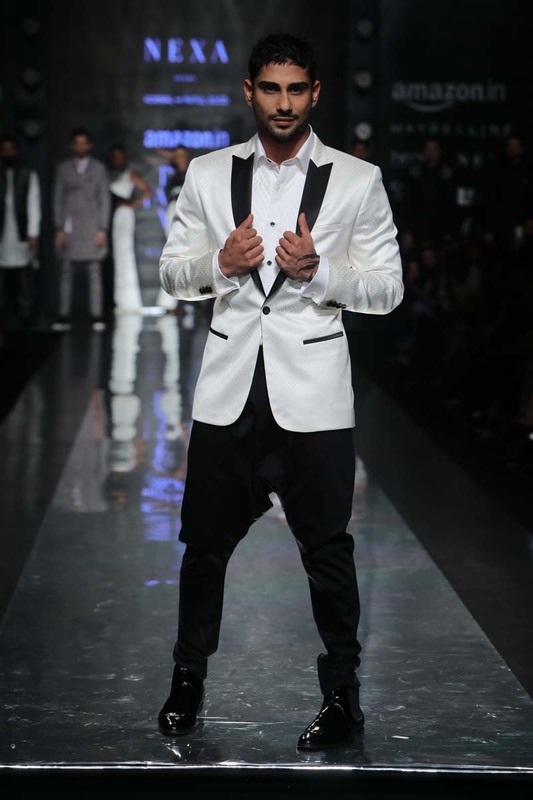 The designer shown the best of formal coats at the runway with the tuxedo collar styles. 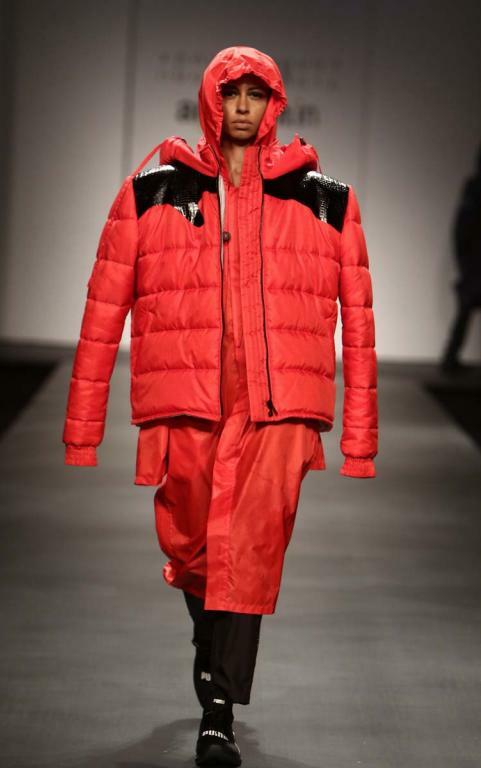 Huemn brings the versatile autumn winter collection following the global fashion trend of puffer jackets as already seen at the major runway shows. The trend is lauded by the retailers as well as at the streets of the New York, Milan and Paris.